I don't have friends, I got family. Fast and Furious fans, relate? I can't find the right words to start my post so I'm borrowing Dominic Toretto's famous line. Much of the beautiful things that happened this week was brought by my FAMILY. Thankful indeed! The long weekend was a blessing. As always, the broke back mountain in me chose to stay home. In the middle of the week, a member of the family was suspected to have serious heart problems. In God's grace and through second opinion, it was discovered that everything was simply caused by severe muscle pain. The good news came in perfect timing during my cousin's birthday. The holiday was just filled with happiness and thanksgiving. 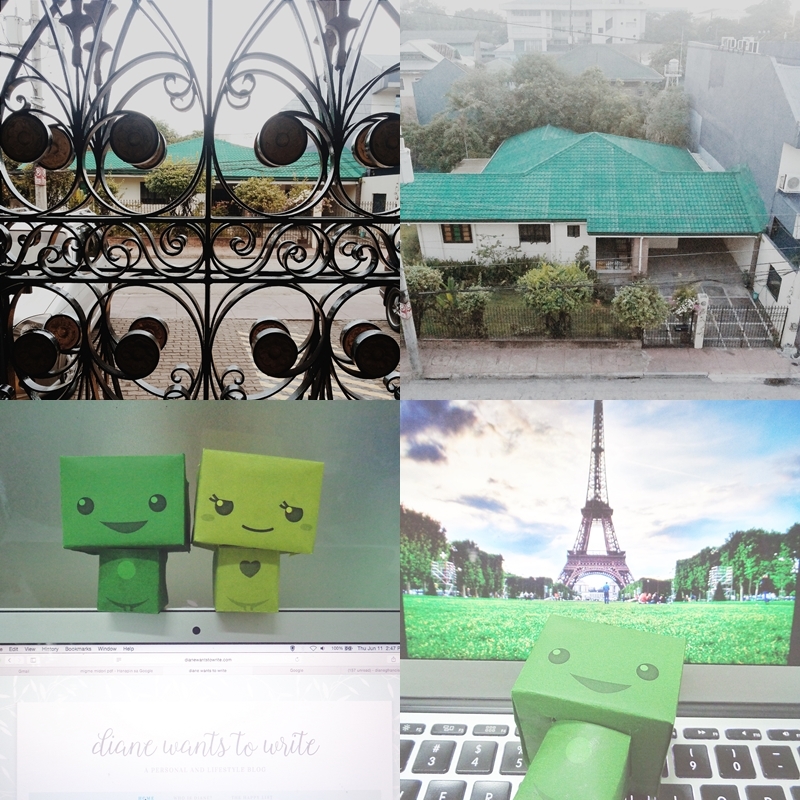 Over the past days, here are other few beautiful things that made my week. Mailbox surprise - It was only Terra who keeps on sending me postcards with this elegant wreath stamp. I thought I received two letters from Terra. (Thanks Terra for the cute card!) Turns out, I received a card from one of the first bloggers I ever met. Thank you Kelley! - I will never get tired of reading your letter. It's one of the best letters I have received in my lifetime. You never fail to inspire me. You are indeed a friend, older sister and a mother in the blogosphere. Your letter came in just when I needed some encouragement. 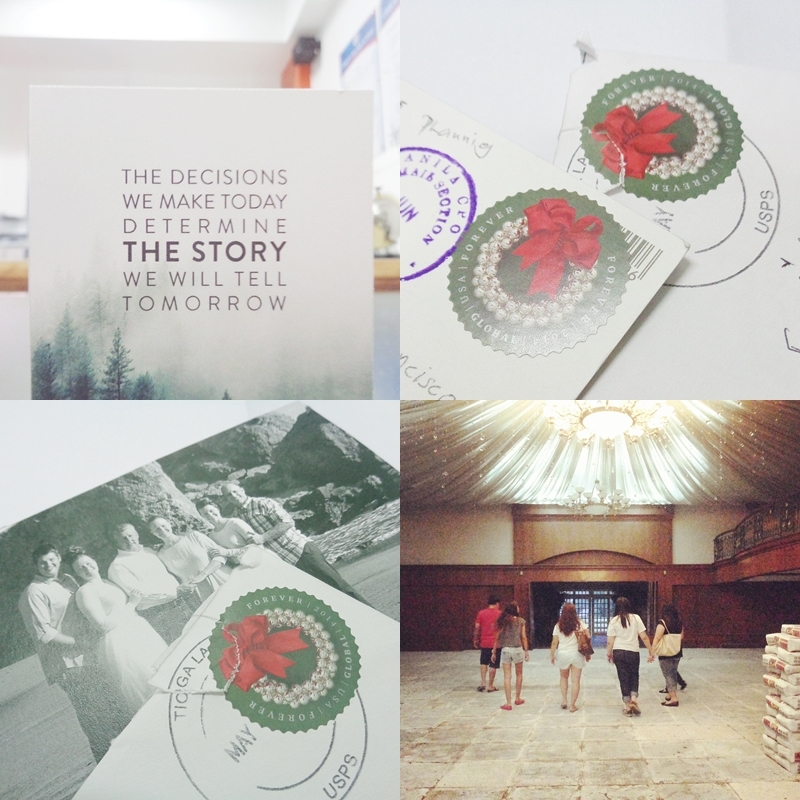 Fun Fab Fam - I enjoyed the simple road trip we had in our hometown. I can't wait for our next escapade, even if it means eating out in a new restaurant around. Robinsons Magnolia - This has to be one of my favorite malls in Manila. I love the relatively quiet and lesser crowd. The old and boring person in me further loves the entire neighborhood in New Manila. 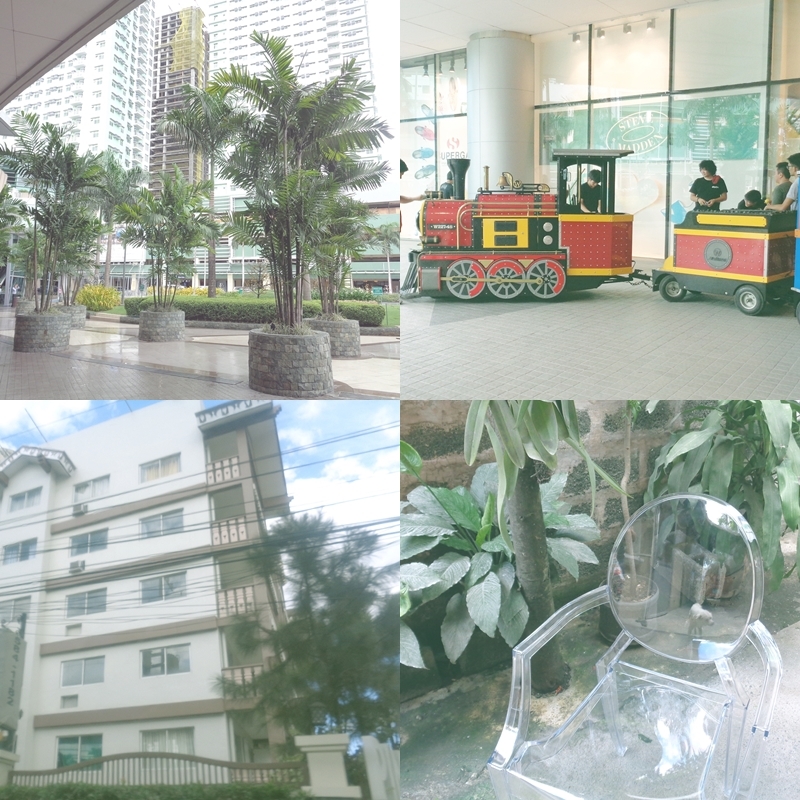 One of my dreams is to own a unit from Pine Crest New Manila. 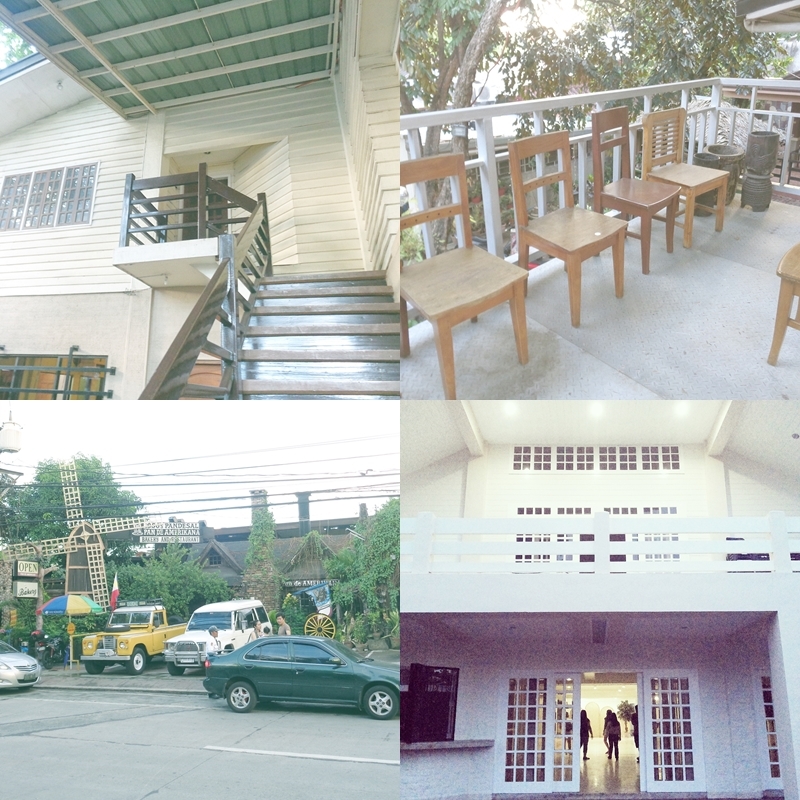 I love the architecture and the atmosphere of having Baguio or Tagaytay in Manila. The Ghost Chair - Thanks to Mother E and her friends for leading me to the right path. :) This is just one of the many steps in building my own office at home. Big thanks also goes to my Dad who took time to drive me to Robinsons Magnolia. One of a kind Tree House - We visited this nice place in my hometown. I love the house's architecture and the overlooking space that served as a tree house. I also appreciate the mismatched wooden chairs. Pan de Amerikana - One of the reasons why Marikina is turning as a great food hub in the metro. If you are in Marikina, don't forget to drop by Pan de Amerikana for the best pandesal. Check out my previous post about the place here. Perfect place for pictorials - I want to have my own portrait here! Or this can be an inspiration for my future office at home. The place from afar - I love the transparent (ala Ghost chair) Chivari chairs and the white interiors. My ambitious dream? 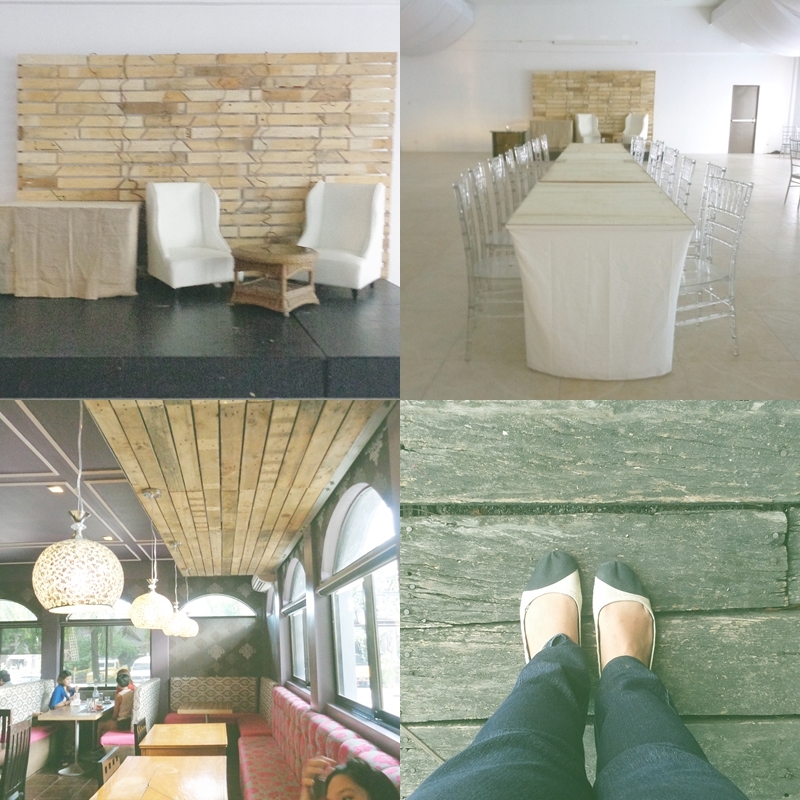 To host a victory party or product launch of my own business here with my few close friends. Sweet Maddie's Place - I love the wooden details of the ceiling, mismatched chairs and the arched windows. This place is also found in my hometown, an addition to the beautiful restaurants around. Loving my Toms ballet flats - My feet may not look perfect but this has to be best flats I've ever purchased. This metal details - How can you not love the intricate detailing? Small perfect house - The first thing I noticed about this bungalow is the mail box. Most of the mailboxes I encounter are built in to the metal gates. This house managed to install a cute black mail box which I failed to capture. Aside from the mail box, I started to appreciate the house's structure. It has an extended garden, casement style windows, and the simple white and green paint that for some reason, I find it very relaxing and elegant. Whoever owns this home, apologies if I snapped a few photos. :) I love your home and I hope I'll be able to capture more photos. Migme friends - Pardon the silliness, I'm joining a contest sponsored by Migme. I've been wanting to own a GoPro Hero 4. If you want to help and support me, you can follow me at Migme here or simply like my entries posted in my Instagram account, here, here and here. I'm off to another lunch and mini-reunion with my family in a while. Thank God for the good news about my cousin's health. I can't wait to hear more good news for me and my family. A fun read for a Saturday morning (here!) I love the ghost chairs! Diane, it is fun to exchange notes with you and get to know you. I can tell you have a passion for one day having your own business, and for learning and growing. The past week looks like you had a lot of enjoyable activities. The swirly fence is gorgeous, and I hope you'll win the GoPro, I hearted your photos! Yippee! You received your global mail! I'm so happy it was a treat for you today! Terra paid me a blog visit, too! Invite mo ako sa product launch ha? _ _ _, you're going down!!! Hahahaha! Goodness gracious...baka mapa-away ako. And the ghost chair is a classic! Btw, love your new backdrop. Pretty soft colour and elegant design! I think this is the 2nd time that I am seeing that ghost chair. First ata ung kay brightspot? And i found it so cute!